How to get rid of nail fungus traditional methods. Fungal nail infections – onychomycosis is a common infection. To understand that the nail is affected by fungus, rather just changing the color of the nail plate, becoming gray or yellowish, it thickens and begins to exfoliate, crumble and break. Nail fungus is not only cosmetic flaw, a disease extremely dangerous to the body's immune system develops an Allergy. In addition, the fungus can spread to other parts of the body. - iodine, glycerin, acetic acid. For confirmation of the disease should consult a dermatologist or mycologist. The fastest way to get rid of the fungus on the nail is surgically remove the nail plate or with keratolytic funds. There are several methods. 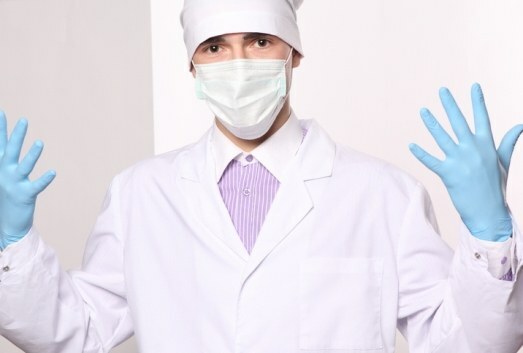 Method Andriasian G. K. – on the affected nail is applied for 30 minutes, the slurry 15% sulfur barium in talke, which is constantly moistened with water from a pipette. Then applied a mixture of washed and scraped off the softened nail plate with a scalpel. The procedure was repeated until complete removal. Further, in place of the nail cause the ointment of resorcinol, salicylic and benzoic acid to 15 grams per 55 grams of vaseline under compression paper for 2 days. Horny loose particles are removed and repeat the procedure until the complete cleansing of the nail bed. To the regrowth of a new nail bed smeared with tincture of iodine. The Method Of The Arabian A. N. – prepare an ointment of equal amounts of potassium iodide and lanolin, which is applied to the diseased nail in ten days. Then remove the softened nail cuticles and nail bed for 5 days with ointment of the following composition: 10 grams of lanolin and potassium iodide, 0.2 g of crystalline iodine. You also need to ingest "Nizoral" for 4-6 months. At the initial stage of destruction of the nail plate by fungus, you can get rid of it in the following way. Take one tablespoon of alcohol tincture of iodine, pharmaceutical glycerin, 70% acetic acid, 2 tablespoons of water. In the evening rasparte feet and remove with a nail file the top layer of softened nail plate. Lubricate the prepared composition of the nail and put cotton socks. Repeat the procedure every night for 14 days. As regrowth will remove the diseased nail. Self-treatment of nail fungus medications that are advertised in the media, only leads to the aggravation of the situation and more long-term treatment.